"Record Stores, Mad Men Furniture, and Pencil Skirts"
H/T to Marisa at Making Sense of Jihad for this link to a vision from Kabul's lost future. Support the FASTC? Who, Me? The Washington Times has an article today following up on yesterday's announcement that the State Department will no longer seek to create a Foreign Affairs Security Training Center on Maryland's Eastern Shore. It quotes two Maryland politicians, Senator Barbara Mikulski and Governor Martin O'Malley, who were both early supporters of the FASTC project but are now in full back-pedal mode. The federal government's selection, and then withdrawal, of the Maryland site created some awkwardness for politicians, who initially courted the project but clumsily backtracked after residents complained that the federal government was dismissing their concerns, misrepresenting its plans and withholding key information. Last week I posted about the publication of a new volume of the Foreign Relations of the United States (FRUS) series, this one concentrating on high policy formulation and decision-making during the period January 20 to October 7, 1972. The best of the volume's documentation came from the transcription of telephone conversations by President Nixon, Secretary of State Kissenger, and Chairman of the Joints Chiefs of Staff Admiral Moorer. More thorough documentation than ever before. That's great. Left unsaid was who did the painstaking transcription of those telephone conversations that are at the heart of this interesting volume. I received the following comment today from someone who wants to recognize the contract historians who spent so much time wearing earphones in an HO cubicle. Curious that the Department's Historian -- probably on the advice of volume compiler John Carland and supervisor Dr. David Geyer -- has omitted any mention of the fact that Anand Toprani played a key role in transcribing and editing tapes transcripts for this volume. Even more curious that current Acting General Editor Susan Weetman would allow this omission, given her constant interaction with Mr. Toprani as the tapes for this volume were finalized. As a result of that comment, I discovered an article in State Magazine from back in May 2008, one that I had overlooked before, but which describes the transcription effort. See Department Historians Dig Into the Nixon Tapes. It looks like we can thank both Anand Toprani and Richard Moss, graduate students who were - and I think no longer are? - contract historians with HO, and co-authors of the linked article. You can find out more about the transcription effort, and even read the transcripts and listen to the audio of those conversations for yourself, here. As recently as June 7th there were local media reports about the State Department's confidence in its plans to construct a consolidated hard skills training center on Maryland's Eastern Shore - "The department is conducting an environmental assessment it hopes to complete in the coming weeks. The department will then work toward breaking ground." But those plans had been running into local opposition all along (see this for background), and the State Department was on the losing side of a recent court order for additional disclosure. After further analysis, the Department of State (DoS) and General Services Administration (GSA) have determined that the Hunt Ray/CrismerFarm in Queen Anne’s County will no longer be considered for the proposed DoSForeign Affairs Security Training Center. DoS and GSA remain committed to a robust and transparent public engagement process and value the input from the citizens of Queen Anne’s County and the leadership of both Federal and local representatives on behalf of the community throughout this process. My very favorite part of today's news about the arrest of ten Russian agents who had been living in the U.S. comes at page 13, paragraph 21 (a), of this complaint, when the highly trained Russian illegal intelligence agent Anna Chapman buys a cell phone and calling cards in order to covertly communicate with Moscow Center, and on her Motorola customer purchase agreement she lists her home address as "99 Fake Street." No wonder it took us so long to capture this crew. "Boris! 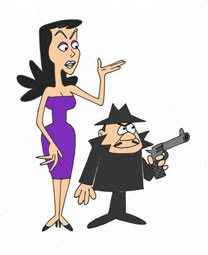 Is moose and squirrel!" U.S. disappointed that consensus was not reached concerning Administrative Decision on Zimbabwe at Kimberly Process meeting in Tel Aviv. That kind of fragmentary message is so annoying. It makes me mildly curious about what the Kimberly Process is, why it is meeting in Tel Aviv (since Kimberly and Zimbabwe are in Africa), and why someone capitalized "Administrative Decision." I suspect it's all got something to do with the diamond business, but beyond that, I'm lost. On the other hand, it does not make me curious enough to actually look up whatever it was that motivated this tweet. That would be an hour of my life I won't get back, and for no gain. It's the same reason I've never tried to learn the rules of Rugby. I assume this tweet has a very limited inside audience, but still, would it be too much trouble to include a a little background or a link? The WaPo is running an article tonight (for Sunday's edition) about the "Herculean" task set before U.S. Embassy Islamabad's public affairs office. That task is to correct for the record the most egregious of the false and malicious anti-American reports in Pakistan's news media. Considering how awful the Pakistani news media is, and how much raw material the U.S. government keeps giving them as it expands its presence all over Pakistan, I would say that Minister-Counselor for Public Affairs Larry Schwartz has his work cut out for him. Actually, I think the WaPo's use of the word "Herculean" is incredibly optimistic. Hercules completed his Twelve Labors, but Larry Schwartz is fighting an endless tide of hysterical rumor-mongering that is constantly being fed by the USG's own big-footed behavior. A more apt term for the PAO's job in Pakistan would be "Sisyphean." ISLAMABAD, PAKISTAN -- Some reports are deemed "a paranoid fabrication," such as the claim that all Pakistanis are stripped naked in U.S. airports. Others are "false and malicious," such as the one about the Americans moving Pakistani Taliban leaders to Afghanistan to prepare them for an upcoming battle against Pakistan's army. So says the U.S. Embassy here, which for nearly eight months has issued statements countering every major error about American foreign policy that it finds in Pakistan's boisterous media. It's a Herculean task that embassy officials say has been undertaken by no other U.S. mission in the world -- because nowhere else, those officials say, does U.S. policy face such disdain and misrepresentation. The statements -- called "Corrections for the Record" -- are issued a handful of times a month. Whether they are effective is hard to measure, though embassy officials express confidence. Taken together, the missives serve as a chronicle of the uphill battle the U.S. government faces in Pakistan in its sometimes clumsy efforts to influence opinion. Much is at stake. The Obama administration views Pakistan as a crucial partner in its fight against Islamist terrorism, and it has spent the past year trying to convince Pakistanis that the United States is a steadfast, well-intentioned ally. So far the public has not been swayed: A recent Pew Research Center survey found that 17 percent of Pakistanis view the United States favorably, and only 8 percent expressed faith in President Obama -- his lowest rating in 22 countries surveyed. The corrections have challenged widely believed theories in a nation with a penchant for conspiracies: that Americans were behind deadly bombings ("absurd, baseless") or plotting a "massive infiltration" by U.S. Marines of Pakistan's militant-riddled tribal areas ("entirely false"). The correction campaign comes as the media in Pakistan grow in size and influence. As of 2002, there was one state-owned television station in Pakistan. Now there are more than 90 private channels, many of which feature roundtable-style political debate, plus countless newspapers, magazines and journals. The content is raucous and the journalists free to publish, within certain nebulous limits; many avoid criticism of the powerful security establishment, though they savage the civilian government. The United States, which is expanding its footprint here, often features as an all-powerful schemer, a depiction embassy officials complain is exacerbated when Pakistani journalists do not seek the American side of the story. Some observers, though, say the real problem is the two nations' spy novel-like relations. Secrets surround so many aspects of the relationship that the resulting vacuum is easily filled by rumors. Against that backdrop, some Pakistani journalists say, official embassy denials carry little weight. "Our government does not have a history of giving out information. If the U.S. pulls another Pakistan on the Pakistani media . . . it's only natural they would be hostile," media analyst Adnan Rehmat said. "The hostility stems from this space where secrecy is the norm." That attitude has been compounded by confirmations -- in the American press -- of reports that initially seemed to be wacky conspiracy theories, said Huma Yusuf, a columnist for Dawn newspaper. Those CIA drones that strike militant mountain hideouts? Turned out they are indeed allowed by Pakistan, despite the government's public denials. The rumors about U.S. troops on Pakistani soil? American officials confirmed in 2008 that U.S. commandos had conducted a ground raid, and more recently that about 200 Special Forces are training elements of Pakistan's military. Still, Yusuf said, many of Pakistan's newly minted journalists are learning as they go, and "making stuff up" is a common way to generate news. "If you can take even the slightest thing and turn it into a story that proves the U.S. is the evil demon . . . it's going to sell papers," Yusuf said. Embassy officials say that they have stepped up interaction with Pakistani media but that the embassy's press shop -- set to grow to five people by next year -- is small for the job. The U.S. Special Envoy for the region, Richard Holbrooke, has met with Pakistani journalists on many of his visits, as have many U.S. lawmakers while passing through, said Larry Schwartz, the embassy's senior spokesman. They often focus on the less clandestine aspects of the U.S.-Pakistan relationship, such as aid for power plants and schools, even if the news media do not. "We really are trying to develop a meaningful and supportive relationship with this country," Schwartz said. "The distortions that we see in the media do need to be countered." In this duel, the embassy says its biggest foe is the Nation, an English-language newspaper. It has published photos of houses it says were rented by menacing American operatives employed by the security company Blackwater; in one case, according to a U.S. embassy correction, the resident was a U.S. aid worker. More recently, the newspaper reported what it called "stark confirmation of the vicious U.S. agenda": police had detained a U.S. military official driving an "ammunition-laden vehicle" and "trading heavy weaponry." The embassy retorted that the truck carried "equipment" used in the Special Forces training, with the consent of authorities. Shireen Mizari, the editor of The Nation, responded to questions about its coverage and the embassy corrections in her column. "If the police confirm a piece of information, we have no reason to doubt it," she wrote of the article about the truck. Regarding the house photos, she wrote that "if we see anyone doing something suspicious, it is our job to report it." But the market for English-language newspapers is small. Television, where 70 percent of Pakistanis get their news and anti-Western venom flows, may be the biggest arbiter of public opinion. The embassy rarely issues corrections about television reports, which are too numerous to monitor. Even so, the Americans might want to lighten up, Rehmat said. Given the surge in programming, most has nothing to do with the United States, and some is even positive, he said. Instead of corrections, the embassy should focus on getting more American scholars, scientists, artists and athletes into Pakistan to mingle with journalists -- not just Washington officials. "For us, America is either Obama or Bush, or it's 50 Cent and Michael Jackson," he said. "We're missing all the other amazing spectrum." 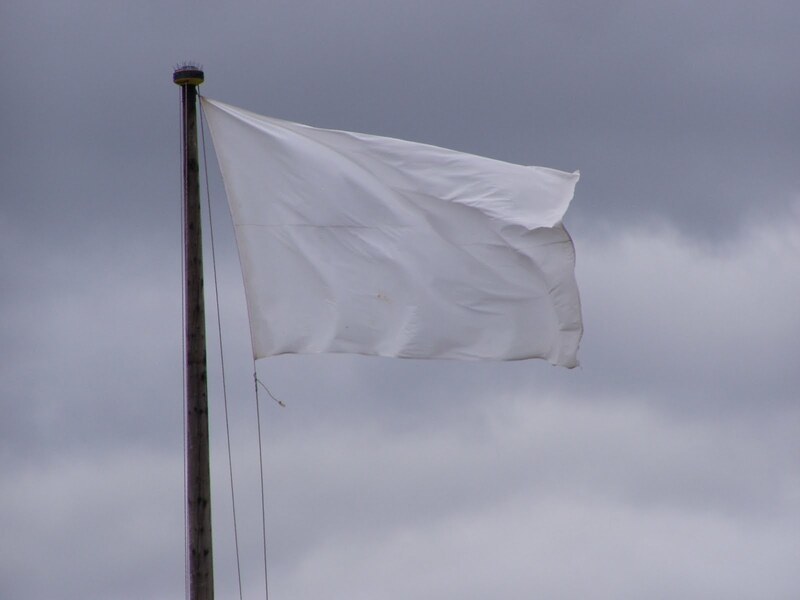 I get it that the quadrennial over-the-top World Cup soccer enthusiasm is an outlet for suppressed nationalism, but I just hope someone is keeping a eye on it so all that excitement doesn't boil over. The Vuvuzela actually isn't the worst thing that can come out of the World Cup, even though it is plenty bad, and not only because it seems designed to "make a Neapolitan traffic jam sound like Mozart" but also due to the potential for hearing loss and the propagation of airborne diseases. What could be worse than the Vuvuzela? How about the 1969 Football War between San Salvador and Honduras? That nasty little conflict caused thousands of deaths in about 100 hours of fighting, and it wasn't finally settled until 1980. It saw the last combat between propeller-driven warplanes in history, and also the incitement of thousands of civilians with machetes (not for the last time in history). After losing the first football match, El Salvadorian nationalist fervor erupted. The fans were so riled that when the Honduran team came to El Salvador to play the second match, the Salvadorian Security Service had to hide the Honduran team at an undisclosed location. As Honduran fans travelled home after losing the match, some Salvadorians threw rocks at their cars. Due in large part to exaggerated media reports, unorganized mobs in Honduras retaliated against the Salvadorian immigrants living on Honduran territory. Salvadorian business were destroyed, refugees fled, people were killed. The Salvadorian government accused Honduras of genocide. After intermittent border clashes, the military of El Salvador invaded Honduras on 14 July. According to a CIA report, “a nationwide Honduran radio network…exhorted civilians in the western highway area to grab machetes or other weapons and move to the front to assist the army.” This was a nasty –albeit brief– war. The CIA cited more than 1,500 Hondurans deaths during the war, it did not estimate the number of Salvadorians killed. The Football War is yet another example of the dangers of nationalism. It is also an example of international competition inflaming –not improving– political conflict. And be honest, after writing this, I’m quite relieved that North Korea and South Korea won’t be matched up in the World Cup final. @Dmitry, check out #JaredCohen, would be awesome social media mentor to emerging Russian 21st Centry Statecraft tech innovator! During his speech, Mr. Obama made reference to the fact that Medvedev "visited the headquarters of Twitters where he opened his own account." I can top that. I'm a Facebook friend of Stalin. 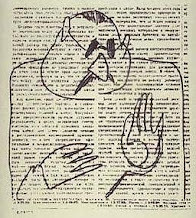 The thing I like best about Stalin's Facebook page is the little notice that pops up to ask "Not the Josif Visarionovič Džugašvili Stalin you were looking for? Search for more." Whoa. One of him wasn't enough? Where Are Americans Moving To (and From)? This is fascinating. An interactive map showing the in- and out-migrations of Americans, county by county, based on IRS data. Once again, a VIP visit has disturbed my peaceful enjoyment of Rosslyn's strip malls. Today is at least the third time Obama's entourage has traveled past my office and up the street a block or so, where he casually drops in on Ray's Hell Burger for lunch. It's just him, a guest, and about 100 hangers-on, White House press pool, Secret Service agents, and local cops. A very noisy parade of heavily armored SUVs and motorcycle escorts. Ray's Hell Burger is right next to Ray's other business, Ray's The Steaks. Ray comes up with corny names for his restaurants but he has very good food. However, if I were taking a foreign head of state to lunch in that strip mall, I'd go to the classier Village Bistro, and I would probably recommend one of their Small Plates of pasta, most likely the sea scallops with pesto and navy beans. Superb! Honestly, for a shabby run-down roadside spot that looks like something you should pass by without a glance, that strip mall has seriously excellent places to eat. I sometimes get lunch at Greenberry's Coffee and Tea, a few feet away from Ray's, and that's also my off-site work location for those times when I need to spend a couple hours on a task without interruption. I dread being there when some VIP drops in, especially if it's the backslapping kind of politician who will insist on shaking everybody's hand and getting in their face and oozing all kinds of oily concern all over them. (And here the name "Joe Biden" jumps to mind.) The protocol is so awkward. I'd rather be left to mind my own business, but how do you gracefully ignore a politician who knows the press is watching? He would probably take it as a challenge. POTUS: "Do you work in the neighborhood?" POTUS: "Work for the government?" POTUS: "What do you do?" Poor Guy: "I work for ... uh ... uh ... [drops his voice] NRO"
POTUS: "What do you do there?" Poor Guy: "Uh ... you know, it's, uh, like ... classified"
U.S. Chargé d'Affaires to Sudan, Robert Whitehead; the Undersecretary of the Ministry of Foreign Affairs for the Government of Sudan, Ambassador Rahamatalla Mohamed Osman; Under Secretary for Management, Patrick F. Kennedy; Assistant Secretary for Africa Affairs, Johnnie Carson; and Managing Director Program Development, Coordination and Support of the Bureau of Overseas Buildings Operations, Joseph Toussaint, dedicated the Khartoum New Embassy Compound (NEC) in Sudan today. The Department of State's Office of the Historian today announced the Release of Foreign Relations of the United States, 1969-1976, Volume VIII, Vietnam, January-October, 1972. Excellent! This volume is full of deep, deep, inside foreign policy matters and candid discussions the likes of which would have made Wikileaks green with envy back in the day. The Department of State released today Foreign Relations of the United States, 1969–1976, Volume VIII, Vietnam, January–October 1972. Few issues engaged President Richard M. Nixon and his Assistant for National Security Affairs, Henry A. Kissinger, more than those associated with the Vietnam war. This specific volume documents U.S. policy toward the war in Vietnam from January 20 to October 7, 1972. The Easter Offensive, and its ramifications, represents the most significant event in Indochina for U.S. policy in this period, and documentary coverage of the event dominates the volume, concentrating mainly on what happened in North and South Vietnam, policy formulation and decision-making in Washington, and the negotiations in Paris. Only a very small number of documents relate to events and policy in Laos and Cambodia, and then only as they relate to events and policy in Vietnam. The volume and this press release are available on the Office of the Historian website [here]. Copies of the volume will be available for purchase from the U.S. Government Printing Office online at http://bookstore.gpo.gov (GPO S/N 044–000–02623–6; ISBN 978–0–16–079429–2), or by calling toll-free 1–866–512–1800 (D.C. area 202–512–1800). For further information, contact Susan Weetman, General Editor of the Foreign Relations series, at (202) 663–1276 or by e-mail to history@state.gov. By the way, I collected some historical documents in this series myself, sort of. The very first safe I was provided when I went to work for State as a contractor in - oh my! - 1986, had a piece of trash wedged behind the bottom drawer, which irritated me so much that I pulled the drawer apart to fish it out. The paper turned out to be a Secret memo, dated in 1965, and entitled "Possible North Vietnamese Reactions to American Bombing Campaign." Maybe I should have kept that as an historical artifact, rather than shredding it? Read the Rolling Stone profile of General McChrystal here. Evidently they decided to run with it three days ahead of schedule. The general prides himself on being sharper and ballsier than anyone else, but his brashness comes with a price: Although McChrystal has been in charge of the war for only a year, in that short time he has managed to piss off almost everyone with a stake in the conflict. Diplomatic Security's Charlene Lamb did well at yesterday's hearing of the Commission on Wartime Contracting, which grilled her about State's use of private security contractors in Iraq and Afghanistan. USAID's David Blackshaw, the sacrificial lamb offered up by the Agency for International Development in place of his agency's senior leadership, did ... less well. In fact, he got lambasted. David was having a real bad day. Not only did his agency leadership send him - a middle manager - to answer the questions that they didn't want to answer themselves, but one of his superiors, USAID's Director of Security, actually sat in the audience behind him to watch! At one point David was evidently getting coaching over his Blackberry, which led to a rebuke from one of the Commissioners. On a personal note, as someone who has known David professionally for many years, I must say I have never seen him calmer or more self-contained than he was under the provocative needling of some of the more obnoxious blowhard Commissioners. I suspect USAID put him on Valium for a week, and then shot him with Thorazine just before he sat down to testify. So, General McChrystal has been called to the Principal's office tomorrow to explain his ill-considered remarks in the Rolling Stone article that will be released Friday. Some of the strongest criticism, however, was reserved for Richard Holbrooke, Obama's special envoy to Afghanistan and Pakistan. "The boss says he's like a wounded animal," one of the general's aides was quoted as saying. "Holbrooke keeps hearing rumors that he's going to get fired, so that makes him dangerous." If those general's aides are betting men, I'd lay odds with them that SRAP Holbrooke will be around to see General McChrystal's departure. And another thing - what is up with McChrystal and his aides giving their overly-candid remarks to Rolling Stone in the first place? What does that tell you about the quality of McChrystal's staff, much less about the great man himself? If an officer cannot figure out Rolling Stone, how can he understand the Taliban? The WaPo's Spy Talk column promised that Blackwater's new contract will be buzz of hearing today - that's the Commission on Wartime Contracting hearing - but, after watching the hearing on C-SPAN, I feel cheated out of excitment. When hearings on war-zone security contractors continue Monday, representatives of the best known -- or most notorious -- firm in the business will not be at the witness table. The firm's controversial track record in Iraq, from where it was recently evicted, won't be on the official docket either. But the federal Commission on Wartime Contracting is going to be talking about Blackwater Worldwide (now known as XE Services) nevertheless, given word late Friday that the State Department had just awarded it a $120 million contract for work in Afghanistan. Officials of the companies that lost out to Blackwater/XE are all scheduled to testify Monday afternoon on Capitol Hill. The commission is also going to take up new problems with private security guards in Iraq. The Afghanistan contract, to provide “protective security services” at new U.S. consulates in Herat and Mazar-e-Sharif, comes only four months after the Iraqi government expelled Blackwater/XE. Individuals from the firm are being prosecuted by the Justice Department for allegedly shooting unarmed civilians in Baghdad. The company won the contract over two other American firms — Triple Canopy and DynCorp International, the Associated Press reported from Kabul, quoting U.S. embassy spokeswoman Caitlin Hayden. The one-year contract can be extended twice, for three months each, for a maximum of 18 months, the A.P. said. Blackwater's expulsion from Iraq did not prohibit U.S. Training Center, a unit of Moyock, N.C.-based XE Services, from bidding on the Afghanistan contract, an unidentified State Department spokeswoman told CBS News, which broke the story Friday night. "Under federal acquisition regulations, the prosecution of the specific Blackwater individuals does not preclude the company or its successive companies and subsidiaries from bidding on contracts," the spokeswoman was quoted as saying. "On the basis of full and open competition, the department performed a full technical evaluation of all proposals and determined the U.S. Training Center has the best ability and qualifications to meet the contract requirements." The hearing's first panel included Diplomatic Security's Deputy Assistant Director for International Programs Charlene Lamb (read her opening statement here), and she was able to provide a simple answer to the Commission's snarky question about why the U.S. Training Center, a unit of XE Services nee Blackwater, was the best qualified competitor for a contract to provide high-threat protection for the staffs of two new U.S. Consulates in Afghanistan. The reason is that they were the only company that could get people in place within the very short time frame State required in order to open those consulates on schedule. I'm satisfied. Hey, security contracting is a competitive industry, and if Blackwater's competitors could match its performance then they wouldn't have to throw a pity party for themselves on Capitol Hill. The current issue of State Magazine has an article on page 14 about our "trouble-ready" new embassy construction projects, in which the Office of Overseas Buildings Operations (OBO) tells anyone who can access the internet that it has built secure new facilities in some of the dodgiest places on Earth. And that's true. Good for them, way to go, keep it up, etc. "They worked through these obstacles to complete the new consulate compound, which includes a new office building and secure living quarters for employees." “The new compound of the U.S. Consulate in Karachi was completed in the last 12 months. OBO "worked diligently to address the daily construction issues to complete the project." "New consular offices were built in Jerusalem." So both of those new facilities are completed? As in finished, over, brought to an end, concluded? I hate to quibble, but, has a VIP cut a ribbon and has the staff moved in? Are the buildings in operation? If I went to either place today, would I find a working consulate? Granted that I am blogging anonymously, and so, for all anyone knows, I could be a 12-year-old living in Montana who has no knowledge of these matters whatsoever. However, I do not believe I would find an operating consulate in either place today, and it might be quite some time yet before I would. I appreciate that glossy magazines like State have a long lead time for publication which makes it hard to time articles. But that article is jumping the gun by many months. H/T to Lowering the Bar, those lawyers who see the lighter side, for this news about Carlos the Jackal, his lawyer and wife (the same person), and their efforts to shake down the makers of a new film about him. You know what I would advise the Jackals to do? 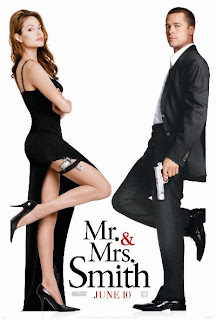 Instead of suing those film makers, they ought to work with them to re-package their story into an action / romantic comedy flick. Please Stop "Trying to Wake People Up in North America"
Marisa at Making Sense of Jihad (who was married 18 days ago, so belated best wishes) has a dose of reality for the soccer-obsessed among us. And by "us" I mean us, the historic American nation. I don't hate soccer. My kids played soccer in the weekend youth leagues that are ubiquitous here in Northern Virginia, as they are in suburbs from Sea to Shining Sea. I played it myself waaaaay back in High School, when it was far from common on these shores. Back then, soccer had an exotic foreign flavor, and that was the secret of its attraction for some of us. Soccer's foreignness is still the secret of its attraction for some people, most definitely including those commentators who every four years take the occasion of the World Cup to berate Americans for their disinterest in 'the world's game.' It's not that they love soccer so much as they despise and feel superior to those of their fellow citizens - the vast majority of them - who are instinctively suspicious of anything foreign. It's the same way with the metric system. Busybodies have been browbeating the American private and public sectors to get metricated for as long as they've been badgering us about soccer. But except for the popularity of the two-liter bottle and the 9mm cartridge, metrication has been a total bust in America. A 100 percent failure, or whatever the equivalent of "100 percent" may be in the metric system. I don't object to either playing soccer or using the metric system, you understand, but I object to people promoting anything to Americans simply because it's popular in the rest of the world. I'm reasonably familiar with the rest of the world, having visited fifty-some foreign countries on business and having lived in a couple, and I like it just fine. But I see no reason whatsoever to import foreign practices to America just because they are foreign. And I see through those people who would do so. It's called American Exceptionalism, and people have been noticing it for a long time. A foreigner described it best, and that was back in 1833. The USG's dusty crates full of old secrets - those of them that have been released under FOIA, anyway - may be opened by the public at a non-commercial website called The Government Attic. Feel free to rummage. 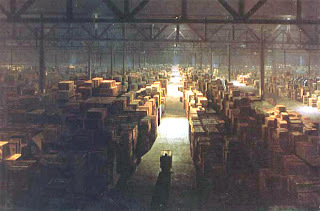 governmentattic.org provides electronic copies of hundreds of interesting Federal Government documents obtained under the Freedom of Information Act. Fascinating historical documents, reports on items in the news, oddities and fun stuff and government bloopers, they're all here. Regarding the Freedom of Information Act, I had long been under the impression that the law was passed around the time of the Church Committee, but now I see that it was passed a decade earlier, in 1966. So the 60s were good for something after all. 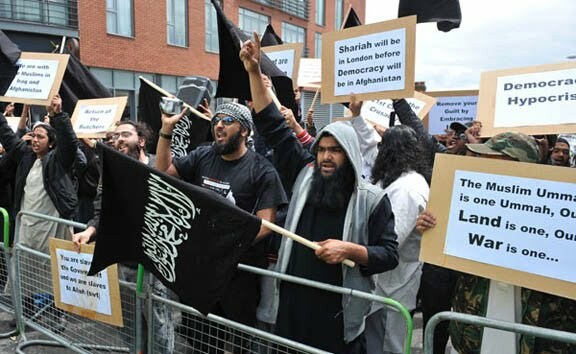 British Army troops returning home from Afghanistan were met by a demonstration of "Muslims Against Crusaders" in Barking, Essex, this week. See this for details. 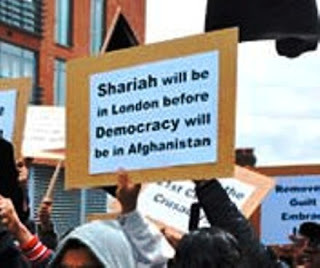 Shariah law in London, versus democracy in Afghanistan. Both are alien concepts. Both are equally unlikely. But, both seem to have just a slight outside chance of occurring. 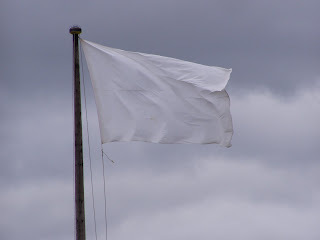 We Shall Fight on the Beaches, Only to Surrender in the Museum? 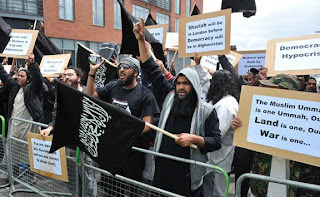 What in the world is going on over there in the oh-so-sensitive modern UK? Today, the Winston Churchill's Britain at War Experience Museum, which I have to admit looks like a great place judging by it's website, has caved in to the anti-smoking Nazis and airbrushed Churchill's cigar from a famous photo of the man. Airbrushing history? I thought only dictatorships did that sort of thing. Dictatorships like ... um ... the one run by the original anti-smoking Nazis. The museum weenie who objected to Churchill's cigar could have simply chosen to use another photo, one in which he wasn't smoking. There must be at least one! 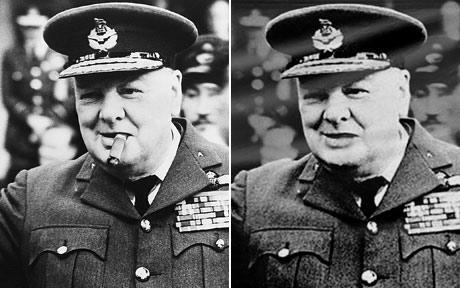 But no, he had to vandalize a historic image, and also to make the Greatest Briton of the Twentieth Century look like a stroke victim, what with that gaping corner of Winston's mouth. Two generations ago, they defied the Nazi war machine at the peak of its power. Now, they cringe before the censure of busybodies, those "fussy fulminators in Britain's modern health-and-safety apparatus." It's really just too sad. The Center for Public Integrity has a few things to say about the integrity of the United States e-Passport. Fortunately for the State Department, e-Passports are produced by the Government Printing Office (GPO) rather than State. GPO’s inspector general found the agency lacks security plans and procedures for ensuring that blank e-Passports — and their highly sought technologies — remain safe from terrorists, foreign spies, counterfeiters and other bad actors as they wind through an unwieldy manufacturing process that spans the globe and includes 60 different suppliers. Despite years of concerns about the risks of stolen e-Passports, GPO “did not have a formal, agency-wide policy and related processes that would ensure security for the e-Passport supply chain,” the inspector general concluded in a March 31 investigative audit obtained by the Center. The inspector general was particularly concerned that the lack of supply chain security left the United States vulnerable to potential interruptions of the e-Passport supply if even one of its key players was disabled by an attack, political unrest or natural disaster. He also found that GPO gave misleading assurances in the past to Congress that its manufacturing process was fortified. For instance, after lawmakers were surprised by a Washington Times report in early 2008 that some suppliers and contractors for the e-Passports were located overseas, the GPO declared in an April 9, 2008 letter to the House Energy and Commerce Committee that the agency had “taken all reasonable steps to assure that the production of and the supply chain for e‐Passports is secure.” Specifically, the agency insisted it had conducted top-of-the-line security audits. The inspector general found those assurances to be false. “We were unable to find any documented evidence of the formal e‐Passport supply chain audit (security assessment) process noted by the Agency,” the inspector general stated flatly in the March report. Somerset, the spokesman, said GPO and State Department officials were satisfied at the time of the letter with their security auditing and did not intend to mislead lawmakers. "Did not intend to mislead." Oh. That makes all the difference. 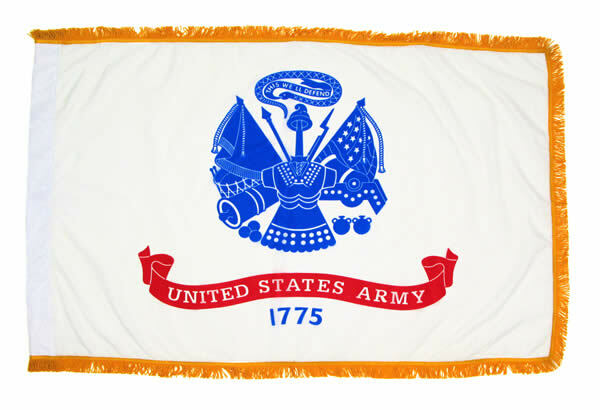 Today is the 235th anniversary of the U.S. Army, my favorite government institution. I always liked that sentence. 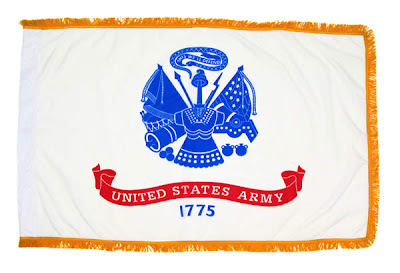 The U.S. Army already has a motto - "This We'll Defend" - but, if it didn't, "Audacious Since 1775" would make a good one. Joran van der Sloot Confesses: "I Feel Sick in the Head"
Probably the truest thing Joran van der Sloot has said so far in the many, many, interviews he has given in the five years since Natalee Holloway's disappearance. Joran speaks Spanish well enough to not need an interpreter, and you can hear him answer some administrative questions. He says that he has studied international business, is single, is a self-employed businessman, and does not live in Peru but is only in transit (a prolonged transit, from the looks of it). When asked if he has any medical problems, Joran says he has a headache, which sounds better in Spanish: "siento mal de la cabeza." Dutch consular officials in Peru have expressed concern about the treatment of their citizen, and reportedly have offered to provide a defense lawyer. Given the great notoriety in Peru about the murder of Stephany Tatiana Flores Ramírez - check out the howling mob at the beginning of the video clip - I suppose van der Sloot's trial has the potential to turn into an Amanda Knox type of long drawn out international media sensation. The Office of Overseas Buildings Operations is on a roll today. First, they complete construction of a new embassy in Burkina Faso, and next they break ground on a new consulate in Monterrey, Mexico. Deputy Chief of Mission, John Feeley; Consul General, Bruce Williamson; Governor Rodrigo Medina; Mayor of Santa Catarina Nuevo Leon, Gabriel A. Navarro Rodriguez; and the Managing Director for Construction, Facility, and Security Management of the Bureau of Overseas Buildings Operations (OBO), Rod Evans, broke ground on the New Consulate Compound (NCC) in Monterrey today. The construction of the NCC reflects the importance of the bilateral relationship between the United States and Mexico and is a step forward in cooperation and partnership between our nations -- a partnership based on mutual interests, mutual respect, and mutual responsibility. The project consists of a consulate building, three compound access control facilities, a parking garage, a recreation facility, a vehicle maintenance facility, and a mail screening facility. The NCC will provide a safe, secure, and functional facility for the 217 employees who will work at the consulate. The NCC will replace the current leased consulate which has been occupied by the U.S. Government since 1969. The Monterrey NCC is the third major project undertaken by OBO in Mexico in the last ten years. The consulate in Ciudad Juárez was completed in 2008 and the consulate in Tijuana is expected to be completed in June 2010. Yates Desbuild of Philadelphia, Mississippi has been selected to construct the consulate in Monterrey. The scheduled completion date for the Monterrey NCC is January 2013. Way back when I first started working for DOS, when I heard someone say the name of the capitol of Burkina Faso I thought it was an in-joke, an exaggeratedly comic foreign-sounding place name. Something along the lines of "Flyspeckistan." But no, Ouagadougou ("Waa-gaa-doo-goo") is the real name of a real city. You can check the pronunciation here. I never got to travel there, but if I ever do, I will search high and low to find a T-shirt from some local university which I hope will read "Ouagadougou You." U.S. Chargé d'Affaires to Burkina Faso, Samuel C. Laeuchli Patricia N. Moller; the Prime Minister of Burkina Faso, S.E.M. Tertius Zongo; and Acting Managing Director for Operations of the Bureau of Overseas Buildings Operations, John Finnegan, Jr., participated in the official opening of the new embassy in Ouagadougou today. The New Embassy Compound is the 69th facility constructed by the Bureau of Overseas Buildings Operations since the 1999 enactment of the Secure Embassy Construction and Counterterrorism Act. In the last 11 years, OBO has completed 72 new diplomatic facilities and has moved more than 21,000 people into safe, secure and functional facilities. The multi-building complex occupies a 12-acre site and provides approximately 300 embassy U.S. direct hire and locally employed staff with over 9,200 net square meters of working space. The construction contract was awarded to B.L. Harbert International, LLC on September 25, 2007 and a ground breaking ceremony was held on April 1, 2008. The facility was completed on September 25, 2009 and occupied on January 12, 2010. The project was completed ahead of schedule and under budget. Have fun moving in to the new embassy. I hope it isn't too fortressy for you, and that the air conditioning works. Diplomatic Security's Antiterrorism Assistance Program "2009 Year in Review" is online. The Antiterrorism Assistance (ATA) Program trains foreign law enforcement personnel to protect their national borders and critical infrastructure and national leadership, respond to terrorist incidents, investigate and prosecute those responsible for terrorist acts, respond to weapons of mass destruction attacks, manage kidnapping for ransom crimes, and respond to terrorist incidents resulting in mass casualties. ATA does all kinds of great work, and training foreign police is no easy thing, especially when you bring them over to training facilities in the U.S. and run the risk of trans-cultural mishaps. So it would be a gratuitous cheap joke if I were to mention the "Yum Yum Tree" incident. Forget I said anything about that. Some of my co-workers tell me they often receive spam e-mails at work, but I never did until today. Somehow I got on the mailing list for a Nigerian '419' advanced-fee fraud message, one in a format that might be targeted to State Department employees. Now, of course I can't tell someone's nationality from his e-mail, and not that I'm profiling or anything, but this kind of scam is Nigeria's leading export. Besides, that lilting Nigerian English style is unmistakable: "In consequent to this, I have been required by the authority to sign some Vital documentations in respect of your Consignment as the code of precedence in line with Diplomatic delivery directives". It sounds so charming. I have been in your country since 2:23am at George Bush Intercontinental/Houston Airport (IAH), Houston, Texas port of entry at the North side of Houston, Texas with my partner and have been so busy with the Custom Authorities here at George Bush Intercontinental Airport, having done extensively on this assignment towards carrying out the delivery of Consignment to your doorstep without further delay or sanctions whatsoever. So I advise that you verify/Re-confirm your current residential address to me, and also tell me the nearest Airport to your home to avoid mistake, because as soon as i clear this problems with the custom authorities and sign some paper works i will be heading to your home address by tomorrow Evening. I am very busy now at the Custom Authority Office here at George Bush Intercontinental Airport ,as soon as am through speaking with the head of the Authorities i will give you a call,so i advised that you keep your mobile phone open for easy communications. Finally. I will be oblige to ensure that your package is delivered to you as soon as i settle this issue with the Customs, and also do not contact any other person apart from me the Diplomat of your Consignment. Once again, thanks for helping me serve you better. As much fun as it would be to scambait Mr. Hopkins, I think I'll just delete his message and let him keep my Consignment. Or he can leave it with the Custom Authority Office there at George Bush Intercontinental/Houston Airport, and go on about his urgent international delivery business elsewhere. Here's some bad news. A 22-year old U.S. Army intelligence specialist in Iraq has been arrested for leaking classified information to Wikileaks, which is an internet depository for other people's secrets whose "About Us" page says it should be described as an "open government group," or an "anti-corruption group," or a "transparency group," or simply as a "whistleblower's site." That's bad news as a general matter but of particular interest to me and, mostly likely, you too, is that among the leaked documents are 260,000 classified State Department cables and other messages that young Bradley Manning downloaded from SIPRNET. Update: Here are some perceptive comments from the WaPo's Spy Talk column on the question of why people steal secrets. The National Personnel Records Center in St. Louis is the nation’s depository for military personnel records. Within these records are the files of “Persons of Exceptional Prominence” including: Spiro Agnew, Desi Arnaz, Beatrice Arthur, Joe Louis, Humphrey Bogart, John William Coltrane, John Foster Dulles, Marvin Gaye, Theodore S. Geisel (AKA “Dr. Seuss”), Charles A. Lindbergh, Glenn Miller, Edward Murrow, Richard Nixon, Elvis Presley, and Jackie Robinson. Beatrice Arthur, as in Bea Arthur? That was news to me, but it turns out she was a medical technologist when the U.S. entered World War II, and became one of the first female volunteers for the U.S. Marine Corps. The National Archives are opening the service records of many famous or otherwise prominent Americans to the public, so you can now see Bea Arthur's DD-214 for yourself, along with records for Omar Bradley and Eddie Slovik, Jack Kerouac and Jimi Hendrix, Jack Webb and William Randolph Hearst, Joseph P. Kennedy and Prescott S. Bush, Steve McQueen and Hugo Black, Grace Hooper and Harry Truman, Rocky Marciano and Margaret Chase Smith, and on and on. Thinking about that last pairing - Rocky Marciano and Margaret Chase Smith - confirms something I have long believed. Which is that, if ever there was a melting pot in American society, it was in the institution of the U.S. military. Federal Spending By the Numbers, a report courtesy of the Heritage Foundation, makes grim reading. If there is a silver lining in this fiscal cloud, it is that fully 90 percent of the rising long-term budget deficits are driven by rising spending rather than falling revenue. So we could, repeat could, reverse the trend pretty quickly any time Congress decides to spend less. The State Department's Bureau of Diplomatic Security has released the 2009 publication of that invaluable series, Political Violence Against Americans. You can view the 2009 report at the link above, as well as archived reports for the years 2002 back to 1987. The series was not produced for the years 2003-2007, when the responsibility for producing such reports passed to the newly-established National Counterterrorism Center. The NTC took up that responsibility and - and here I am counting to ten and exercising restraint - made an unbelievably horrendous mess of it. I'm so glad to see this series once again being produced by people who know what they're doing. Looking at all the political violence that has been inflicted on American citizens abroad makes me prouder than ever to be a member of PETA (People for the Ethical Treatment of Americans). Slate.com asks "why are we always killing Osama's "No. 3" operative?" Some jobs just seem impossible to keep filled ... No matter what the explanation, it's clear that the sweet spot in al-Qaida management is No. 1 and No. 2. After that, job security seems only slightly better than that enjoyed by suicide bombers. Slate speculates that U.S. spokesmen might be exaggerating the importance of the AQ figures we manage to clip, or maybe it's a Machiavellian plot to confuse the AQ rank and file, or else AQ just has a flat organizational structure in which everybody below Bin Laden and his henchman Ayman al-Zawahri are collectively the #3 leader. Personally, I don't think it's so complicated. To slightly misquote Austin Powers: "who does Number 3 work for?" The two senior leaders of AQ keep themselves safely hidden away, so they need a fall guy to run operations in the field and take the risks. It's the same way many hierarchical organizations work; the Chiefs are inside pondering grand strategy while the Indians are outside getting picked off. The WaPo has an interactive timeline of U.S. drone attacks on high-value Taliban and al-Qaeda targets since Obama took office. There were only two such attacks during 2009, but there have been five so far this year. Expect many more. He must be the first living AQ #3 man in captivity. Actually, I don't know that he was really the #3 man in al-Qaida of the Islamic Maghreb, since the news accounts of today's announcement by the Algerian Interior Ministry describe Atmane Touati only as "an ideological leader of the Algeria-based affiliate of al-Qaida" who has played a part in the Islamic insurgency against the Algerian regime since the 1990s. Well, that sounds like another #3 to me. Anyway, have you ever heard of an AQ leader in any position lower than the #3 slot? The Interior Ministry also said that Atmane Touati surrendered after his wife "convinced her husband to abandon the criminal horde and come home." That explanation fools no one in Washington, of course, since we hear pretty much the same story every time the law catches up with one of our office holders. I prefer to think that Touati got tired of scanning the sky all day for unmanned aerial vehicles, and listening all night for the sound of incoming missiles.